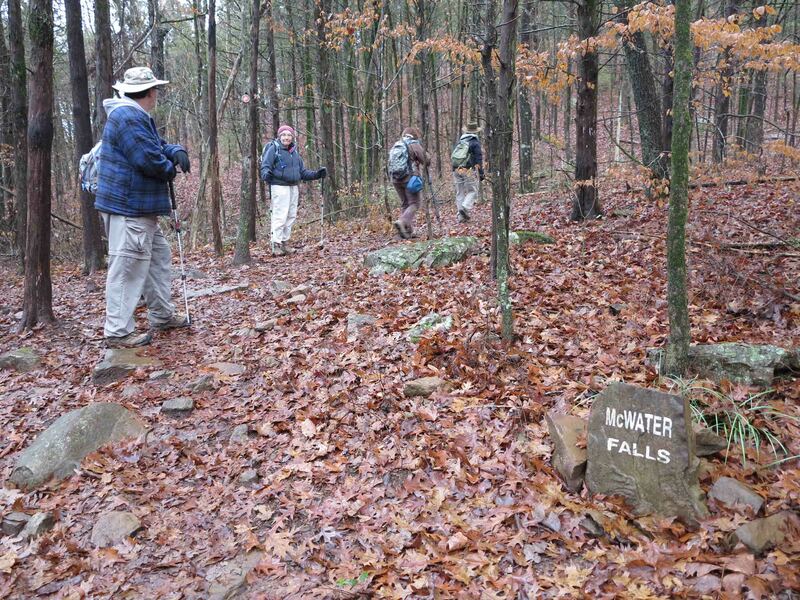 Today I walked my “home trail” with a group of hikers from the Ozark Society. We took four hours to hike the four mile Lake Alma Trail, but it was a pleasure. Part of the enjoyment came from seeing this familiar trail through other’s eyes. Areas I’d walked past without a thought became places they stopped for photos. 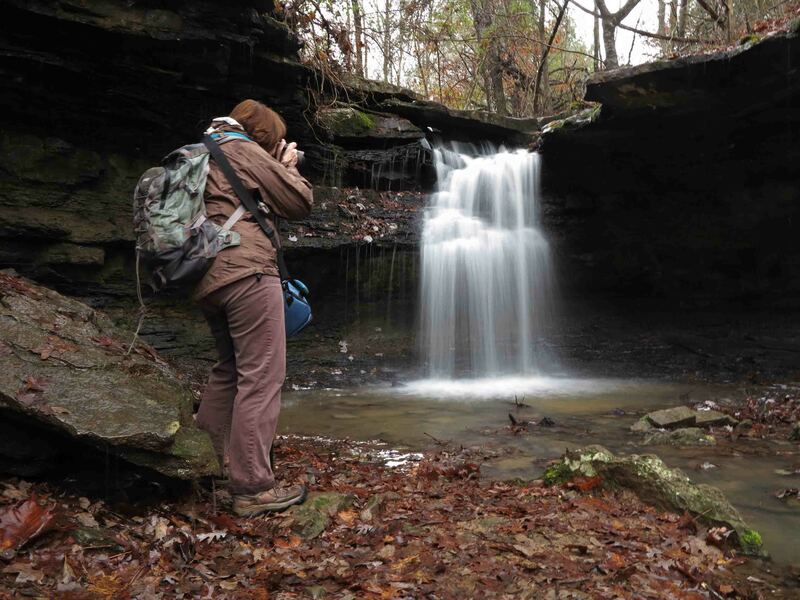 We spent a lot of time at McWater Falls before heading on around the loop. 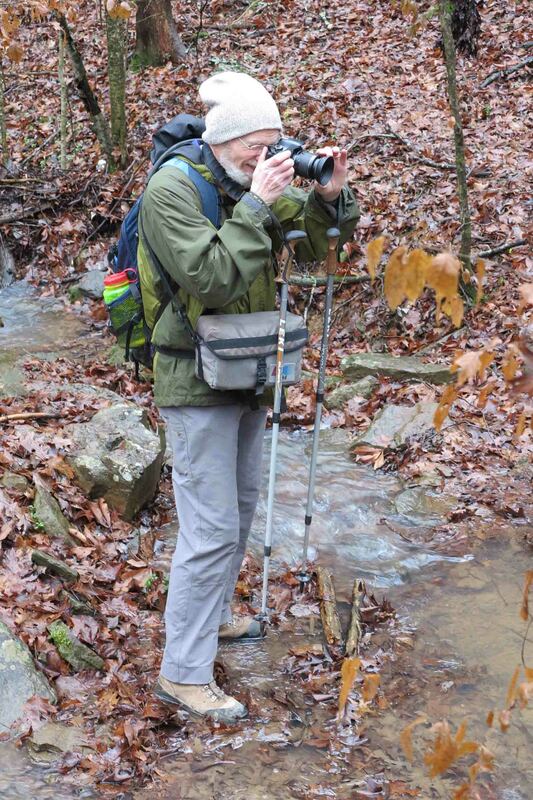 Seeing these hikers’ appreciation of our little waterfall was gratifying. It’s a good thing waterfalls don’t have egos. 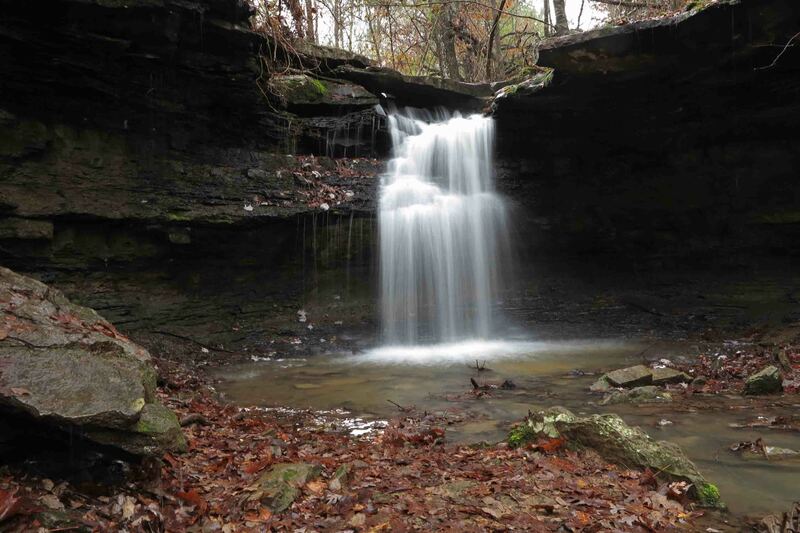 McWater Falls would be the most arrogant of them all after today’s photo session. 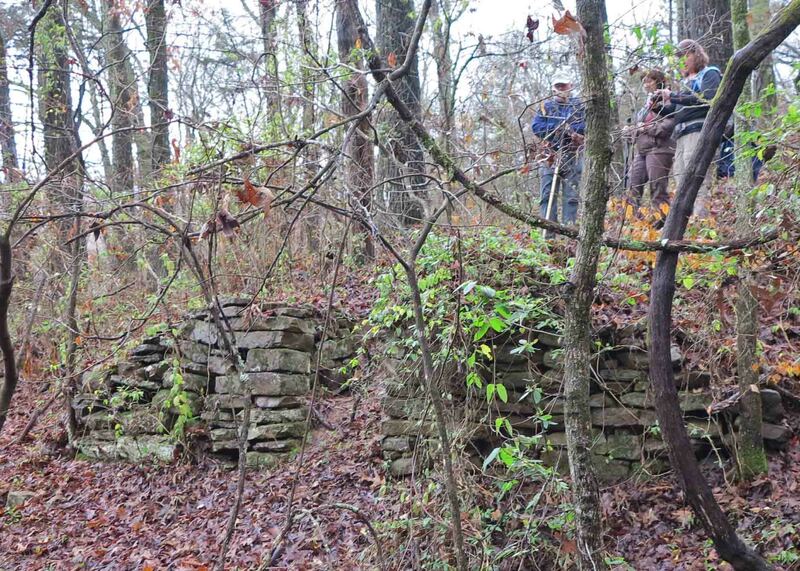 The group spent time speculating about the history and backstory of the Hexagon House. 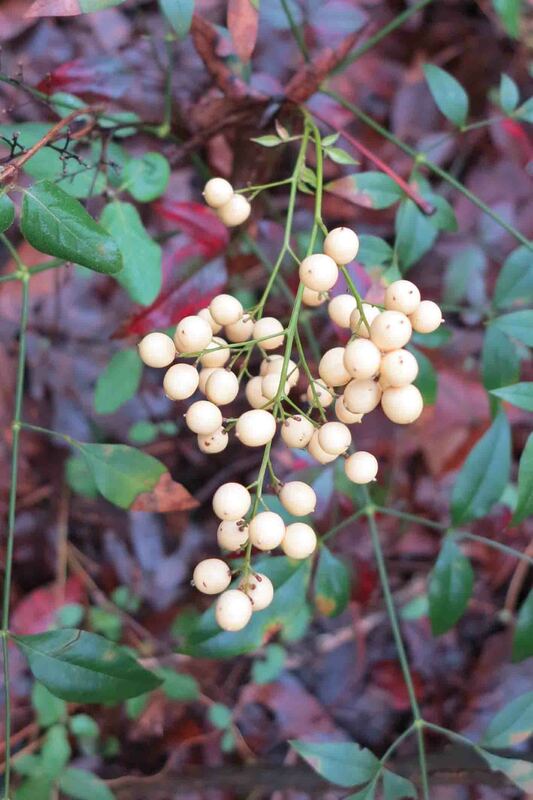 Albino Nandina? No red berries. One of the plants the group noticed were these nandinas that grow throughout the area. Two plants stood out because of their colorless berries. This was something none of us had seen before. 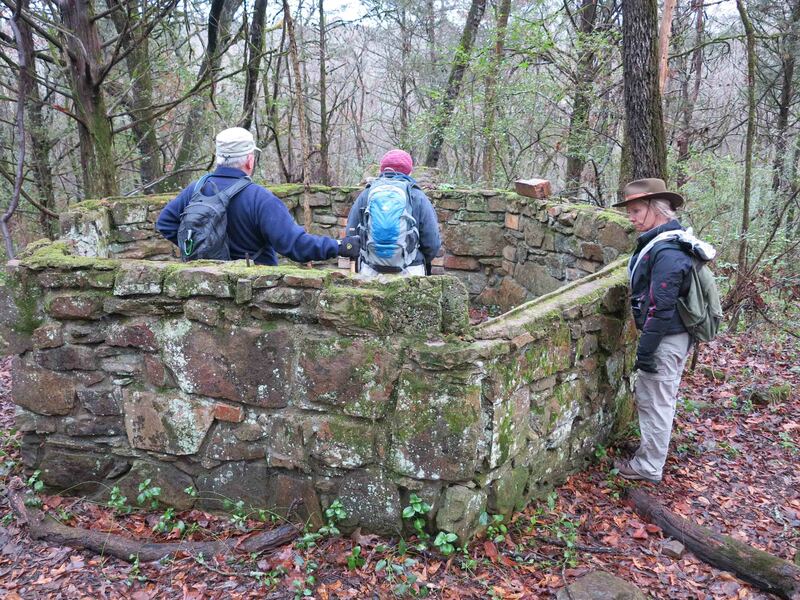 The group was interested in seeing this well just off the beaten path. 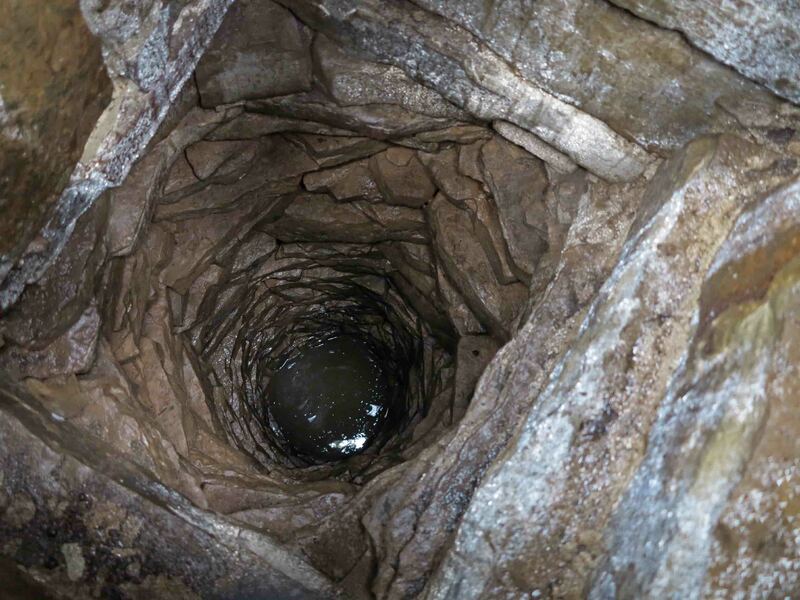 The stonework appears to be more recent than the hand-dug well it covers. 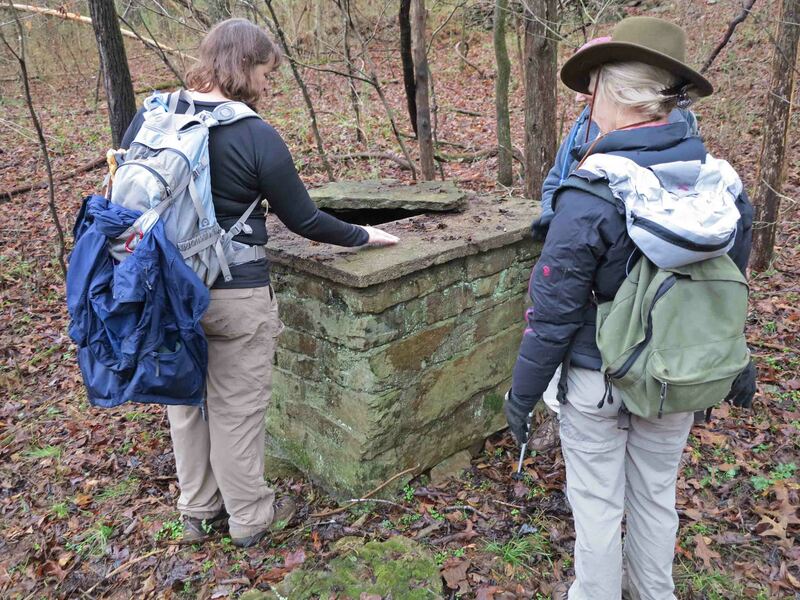 The group enjoyed discussing possible dates for the development of this well and the nearby root cellar. It was a good day with good people on the Lake Alma Trail. It was also a pleasure to see the trail through fresh eyes. Follow this link to read more about the Lake Alma Trail. 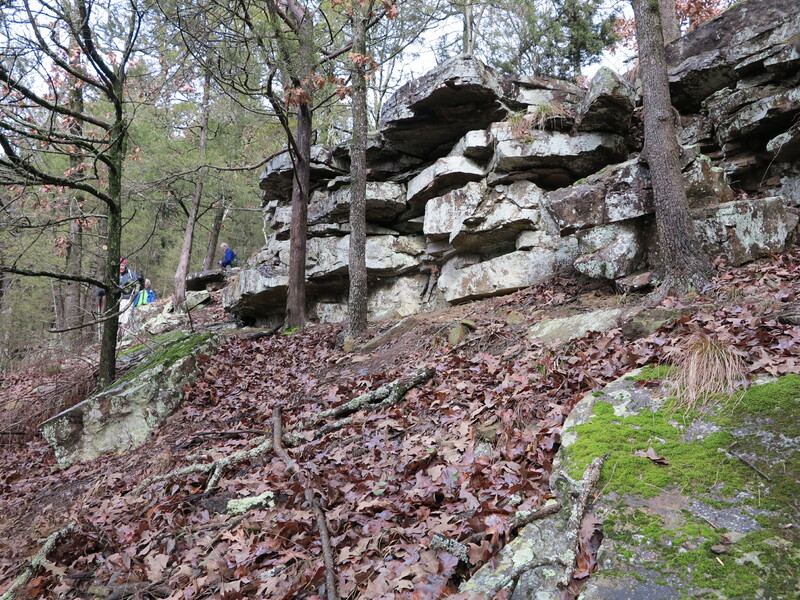 This entry was tagged Lake Alma Trail, McWater Falls, Ozark Society. Bookmark the permalink.